Complete Plumbing Services - All Jobs Large or Small! Our plumbers are prepared to offer insight, a clear diagnosis, options, and repairs for any plumbing service you might need. Plumbing Experts NW is a local and relatable company, but we can offer you and your family almost any plumbing service you are looking for. 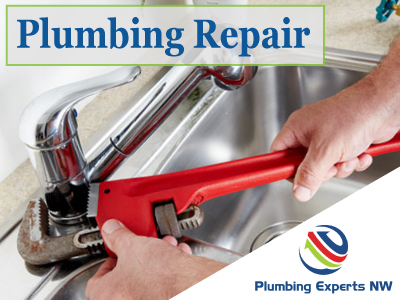 The most common plumbing issues are related to either leaks or stoppages of some sort. You may have a clog in your toilet, your sink, or much further down the line in your side sewer. It won't matter for us where the stoppage is, Plumbing Experts NW is able to help get your drain pipe or sewer line unclogged and/or help repair or replace any faulty pipes or sewer line sections. Plumbing Reviews from one of the area's favorite Plumbers! Plumbing Experts NW clears ALL clogs, in kitchen and bathroom sinks all the way out to the more complicated sewer line. Sewer main lines get clogged, but it's also important to know why. If you need sewer repair service, we have you covered.